Good Morning! I am happy to announce that I’m guest designing for the CropStop blog again today. If you’re coming here from the CropStop Blog – Welcome! (You’ll probably want to skip down in this post to after the *** break.) Some comments from last week mentioned how difficult DIY flowers were. Well, this wee’s cards are MUCH easier. 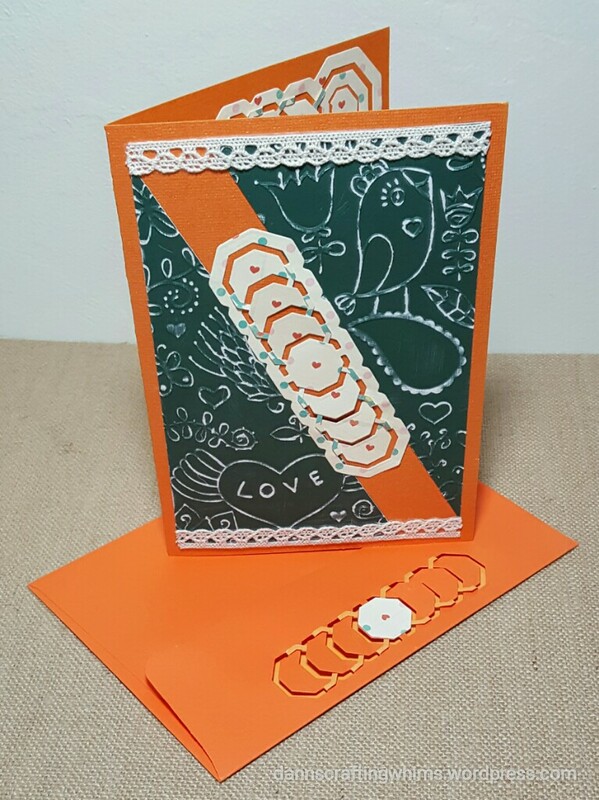 Although they may look complicated, Spellbinders Cut, Fold & Tuck dies do most of the work for you. Here’s a TINY sneak peek at what you’ll see over at the CropStop Blog. I know you’ll want to go see it full sized over there! 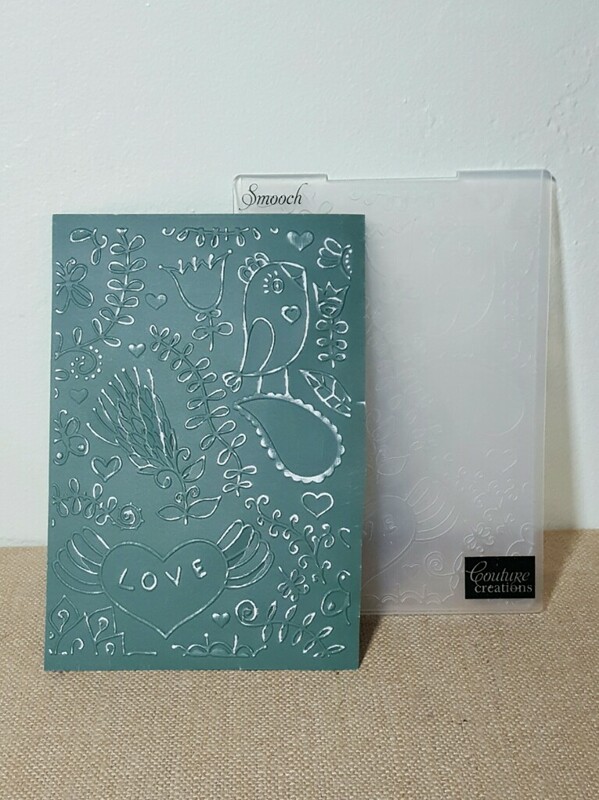 I thought you’d like to see how I dealt with an ‘oops’… For the first card, I embossed some chalkboard cardstock, but it cracked in some places. Hence the diagonal cut to eliminate the damaged areas. 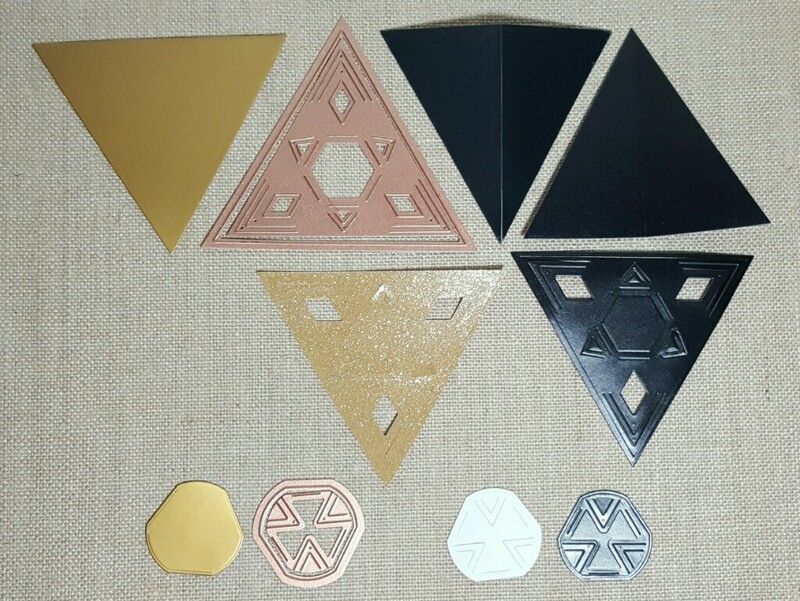 For the triangle shaped card, I used Spellbinders Star Dreams. 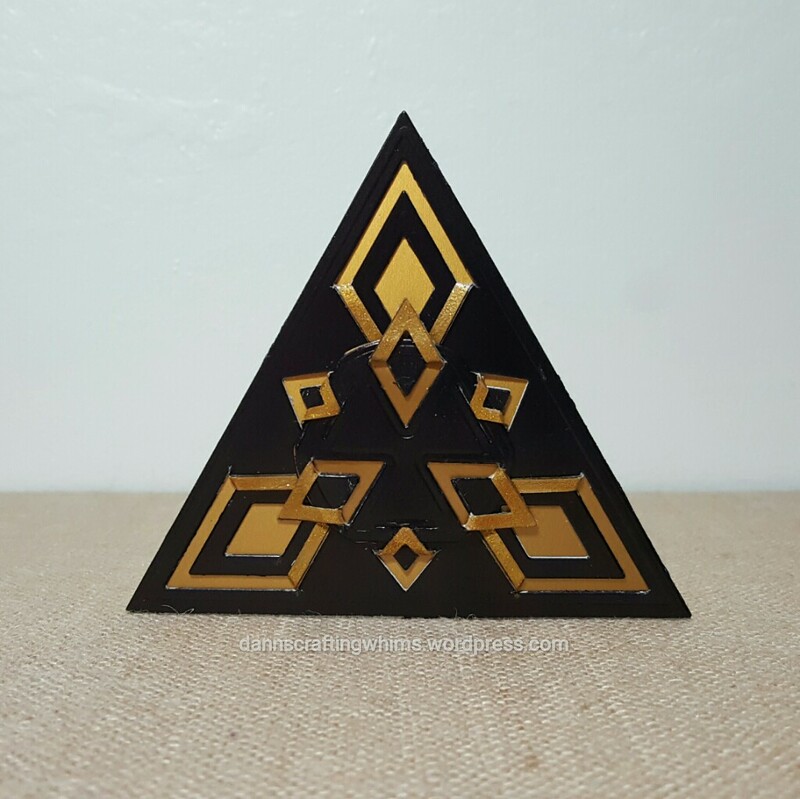 Since I didn’t have black & gold double-sided cardstock, I made my own by cutting the black and then cutting the gold and gluing them together. FYI: I tried this previously putting them together first with Scor-tape, but found it was too thick to cut through all the layers, in spite of using a metal cutting plate. 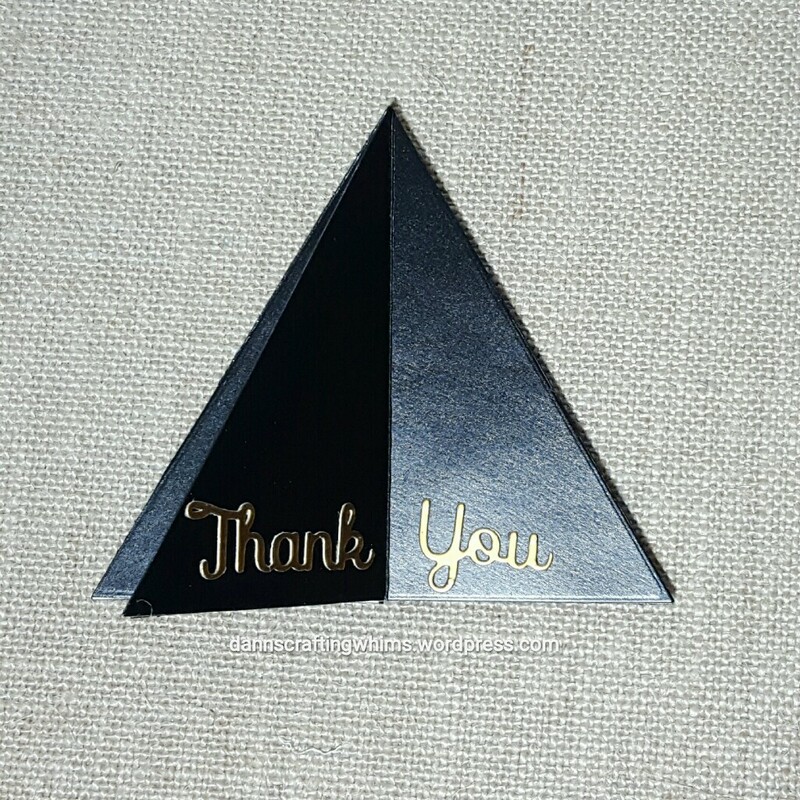 I also cut two extra solid triangles to make the back so it would stand alone. 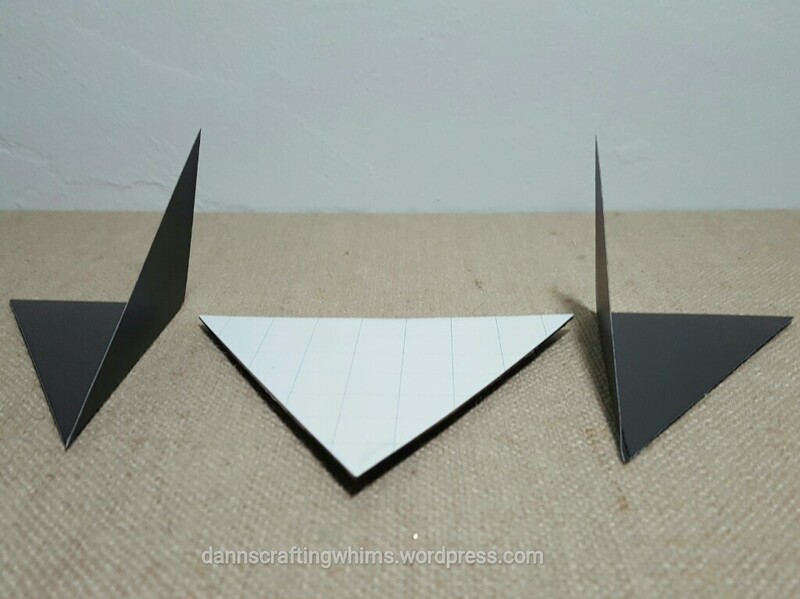 By making them meet in the middle, it makes a nice stand and folds flat for shipping. So, there you have the few extra little details. Thanks so much for visiting both blogs today! You will find the list of all the supplies used on the CropStop Blog. You can click HERE to go back and check it out again. Thank you, CropStop, for the privilege of guest designing for your blog twice this month! Before I go, let me remind you that today is also the first day of the Spring Coffee Lovers Hop, and, as soon as it goes live, I hope to post some cards and EDIBLE stamping for you, so be sure to check back! This entry was posted in Any Occasion Cards, Cards, Friendship Cards, Papercraft, Thank You Cards and tagged cardmaking, Couture Creations, Couture Creations Fresh & Fun Smooch, Couture Creations Smooch, Guest Designer, handmade cards, Papercraft, Shaped Card, Spellbinders, Spellbinders Celebration 2, Spellbinders Cut Fold & Tuck, Spellbinders In'spire Celebratoin 2, Spellbinders Octagon Strips & Accents, Spellbinders Star Dreams, Stand-up card by dannscraftingwhims. Bookmark the permalink. That triangular card is gorgeous D.Ann!! I’ve been eyeing that particular Cut and Fold die and trying to imagine how to use it so this was really fun to see it in action. 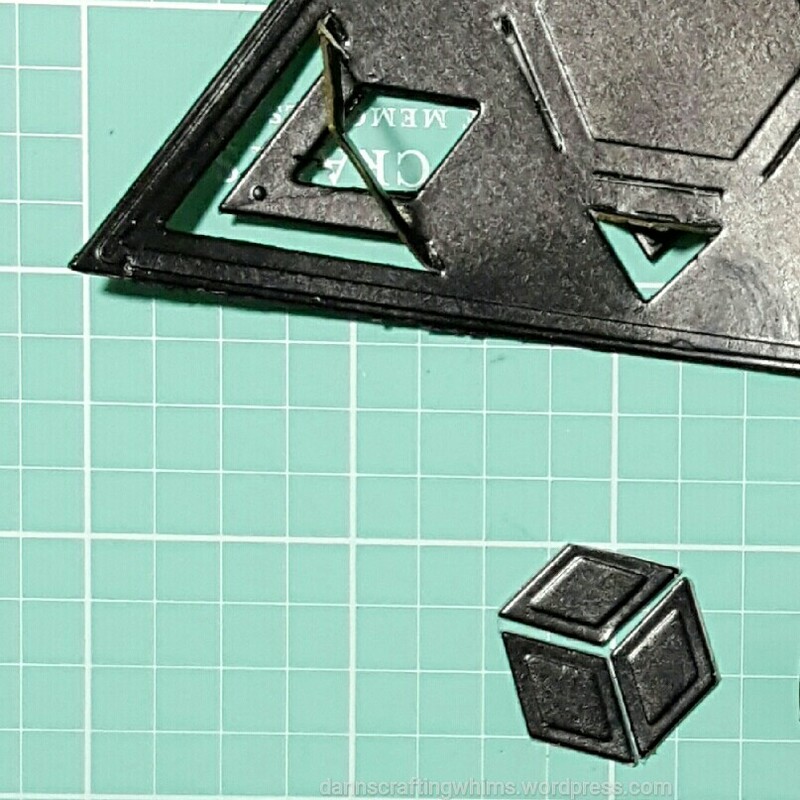 Love how you placed the little cut-outs together to form a small box shape….always looking to new ways to use even the scraps!